 As a fundholder of the Community Foundation of Southern Indiana we cannot thank you enough for your support of our community. Without you, we would never be able to support the ongoing needs of Southern Indiana in such an impactful way. Our aim is to be a partner, resource and steward in your personal philanthropy. To do this, we offer several resources that enhance your giving. Please see the various items below that can equip you with the information you need to know to best use your fund. If you have any questions about your fund, the greatest community needs, or the Foundation, please give us a call at (812) 948-4662. The Donor Advised Fund Handbook is a detailed guideline to your donor advised fund. The purpose of this resource is to empower our fundholders to utilize their fund to its utmost potential. The Grant Recommendation Form is for the convenience of the Community Foundation’s fundholders. If you are a fundholder and wish to recommend a grant from your fund, please click the link below. If you non-profit seeking funding from the Community Foundation, click here to go to the Grants page.